On 7 March, I hosted a reception on behalf of the Port of Dover for MEPs and policy specialists in the European Parliament, entitled ‘Brexit and cross-channel fluidity - Protecting a strategic link for the future of EU/UK trade: a UK perspective.’ (The EU specialises in snappy concise titles). Guest speakers included Tim Waggott, Chief Executive of the Port of Dover (pictured above with myself). 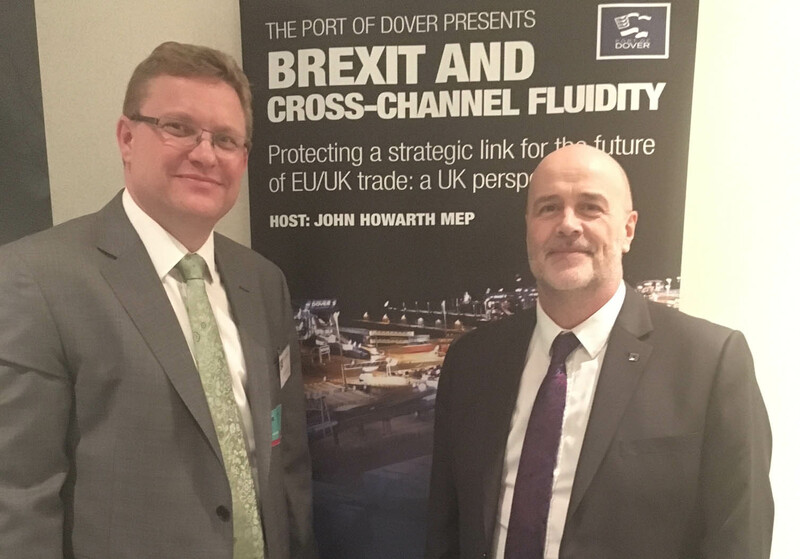 The purpose of the event was to build understanding of Dover’s role as the principal artery for trade from the UK to and from continental Europe; to discuss the challenges posed by Brexit, in particular traffic fluidity, customs, border formalities and transportation rules; and to enable the Port of Dover’s senior management to engage with MEPs and EU officials on the arrangements that might come into play at the point the UK leaves the European Union. The political background is, of course, the promise by the Brexiteers that trade between the EU and Britain would remain ‘frictionless’ were the country to leave the EU. In the light of reality this is clearly a false promise. After hosting the event for Dover I am clearer than ever that the only way to maintain frictionless trade and safeguard our economy is to avoid the kind of hard Brexit that would take us out of the single market and customs union. Anything else is fiction. It is also essential for supply chains relying on just-in-time deliveries. The growing success of Dover has been based on frictionless trade enabled by Britain’s EU membership, the customs union and single market. In 1992 the Dover route accounted for around 1 million lorry movements, by 2016 that had almost trebled - once the Channel Tunnel is included it is almost 4 million. At present, less that 1 percent of Dover’s arrivals have driven all the way across the EU to get to the UK, meaning documentation must be checked for only a few hundred lorries a day going to and from non-EU countries such as Switzerland, Turkey and Ukraine. There is no getting away from the physical realities of these trade volumes and no amount of fantasy technology and magic thinking can hide the fact that any kind of customs border imposes a requirement for inspections - otherwise it simply cannot work. So unless the current customs regime is safeguarded, every lorry that passes through Dover will have to undergo customs processing and in many, if not most cases, physical inspection. That is many thousands per day, 2.6 million per year. 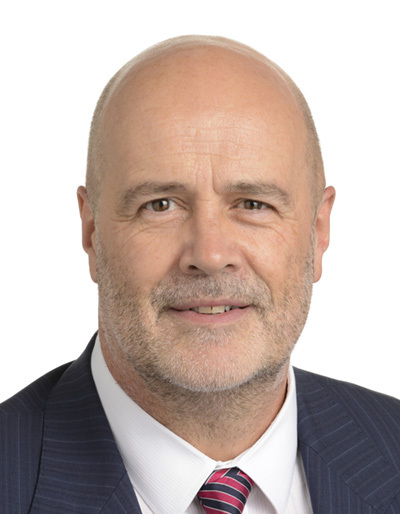 Currently, the facilities simply do not exist for this vastly increased workload and recent estimates suggest even two minutes spent processing each lorry would create 17-mile tailbacks. The UK government talks of frictionless trade but doesn’t have a strategy to achieve this, nor does it seem to have contingency plans ready for Dover or other Ports. The government needs a plan and the public needs to know what that plan is. That they don’t appear to have one after all this time is shocking. They need to take this seriously. The Port of Dover is quite right to say that if arrangements work at Dover, they will work for the UK but if they don’t work, it will be a disaster for the UK. If the Port of Dover stops working, there is a danger we will have food shortages in shops within days. The Government is clearly banking on a transition arrangement maintaining the status quo for long enough to put new arrangements in place. Theresa May needs to come clean with people in Dover and east Kent on the reality of the new infrastructure needed to allow Dover to continue to function and to prevent Kent from becoming a car park for lorries destined for Europe. The Port of Dover is vital to the economic wellbeing of the UK, but also Ireland, France Belgium and many other European nations. It is only through the UK remaining within the single market and customs union that we can avoid chaos at our borders, queues on our motorways, shortages in our shops, and a significant hit to the economic wellbeing of our country.